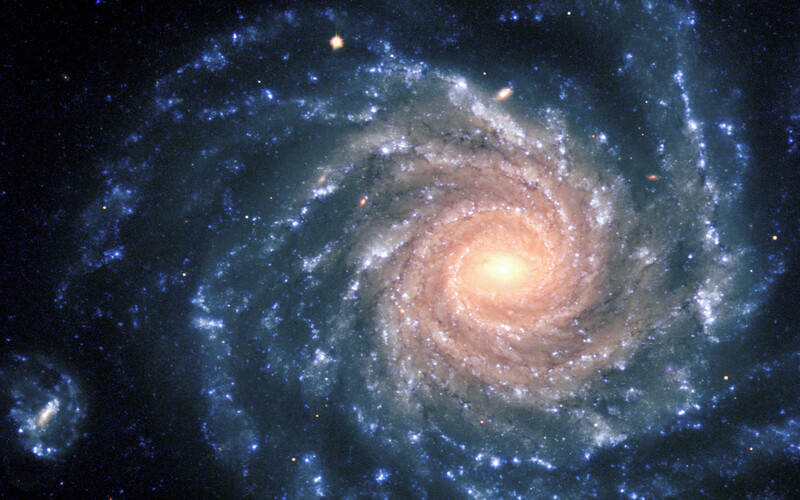 This spectacular image of the large spiral galaxy NGC 1232 was obtained on September 21, 1998, during a period of good observing conditions. It is based on three exposures in ultra-violet, blue and red light, respectively. 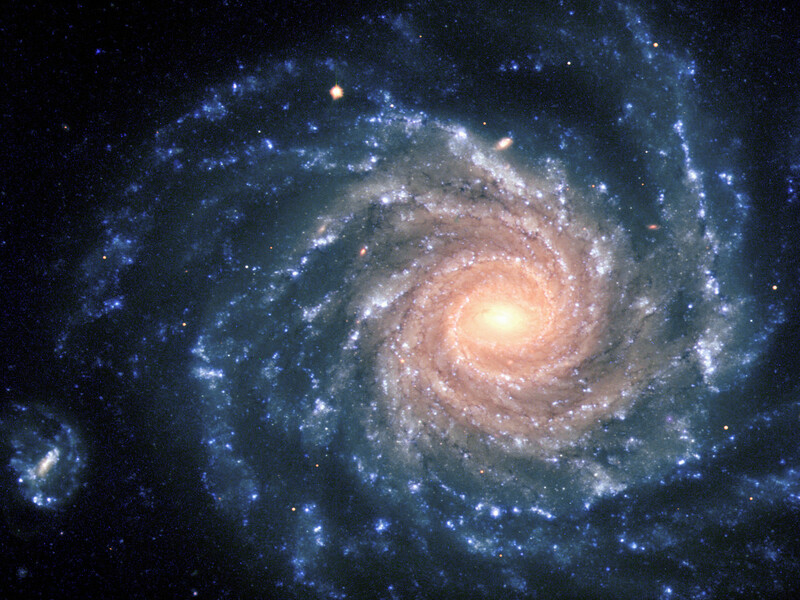 The colours of the different regions are well visible : the central areas contain older stars of reddish colour, while the spiral arms are populated by young, blue stars and many star-forming regions. Note the distorted companion galaxy on the left side, shaped like the greek letter "theta". 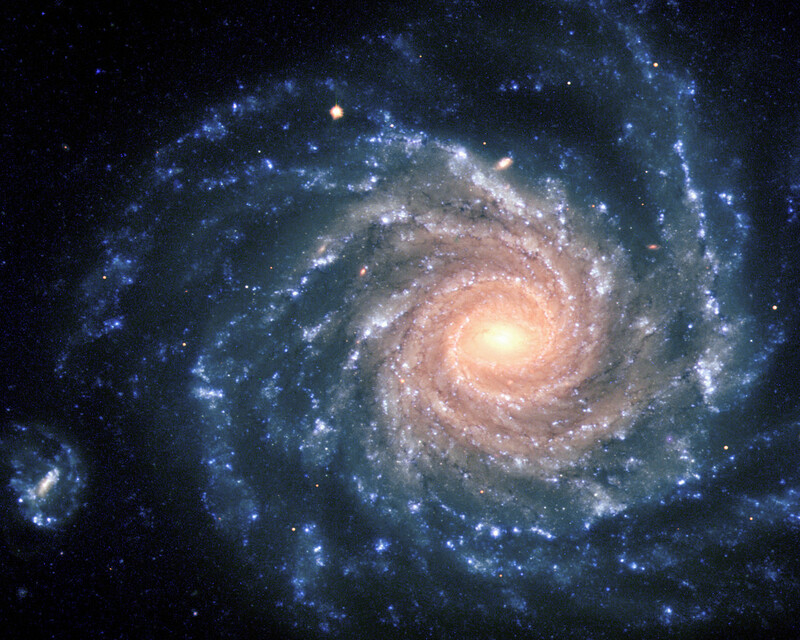 NGC 1232 is located 20º south of the celestial equator, in the constellation Eridanus (The River). The distance is about 60 million light-years, but the excellent optical quality of the VLT and FORS allows us to see an incredible wealth of details. 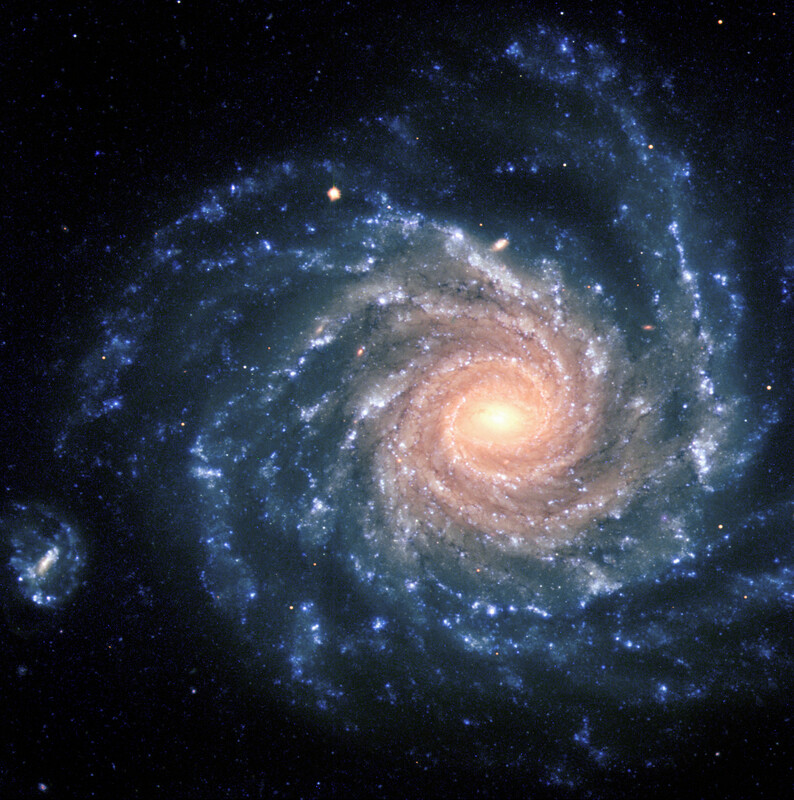 At the indicated distance, the edge of the field shown corresponds to about 200,000 light-years, or about twice the size of the Milky Way galaxy. The image is a composite of three images taken behind three different filters: U (360 nm; 10 min), B (420 nm; 6 min) and R (600 nm; 2:30 min) during a period of 0.7 arcsec seeing. The field shown measures 6.8 x 6.8 arcmin. North is up; East is to the left. Position (Dec): -20° 34' 46.50"